With the objective of offering a safe experience for everyone and to create an environment of mutual respect, Uber, the world’s largest on-demand ride-sharing company, launched its “Driver Safety Toolkit” - a comprehensive set of in-app safety features for driver partners - in Sri Lanka today. To further strengthen safety,, Uber has also updated its community guidelines, reminding riders of the behavior expected of anyone using the platform. “We have also updated Uber’s community guidelines which extend the same behavioral standards to the riders that Uber has for the driver partners. Even though a vast majority of riders will not be affected by this update, it reminds a select few what behaviour is expected of them while using the app. ", Mr. Gupta added. Share Trip. Driver partners can now share their trip details with their loved ones straight from the app, letting their family and friends follow them along as they drive. Emergency button. The Emergency assistance button offers driver partners an option to connect with law enforcement during an unwanted emergency situation. Speed Limit. This feature allows driver partners to be alerted when they exceed the speed so that they can keep themselves, riders, as well as all others safer on the road. 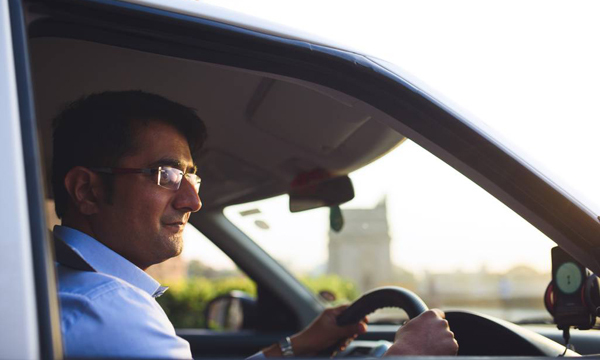 Driver-partners work hard to provide riders with a safe and reliable way of getting from point A to B and it is important that they feel safe, comfortable and respected at all times. Along with the new in-app safety feature for drivers, updated community guidelines ensure and encourage shared accountability on the platform. The updated community guidelines will see riders who, after several notifications, fall below a minimum average rating, lose access to the Uber app. Uber currently allows both drivers and passengers to rate each other in the Uber app after each ride. For Uber, India was the first market where the emergency button was launched. Now, it will be a part of a larger Safety Toolkit in the app, giving driver partners access to all possible protective and preventive measures under the shield icon. About Uber: Uber’s mission is to create opportunity through movement. We started in 2010 to solve a simple problem: how do you get access to a ride at the touch of a button? More than 10 billion trips later, we're building products to get people closer to where they want to be. By changing how people, food, and things move through cities, Uber is a platform that opens up the world to new possibilities.